On a recent trip back to KL to visit my family, they brought me to their new favourite dinner haunt – Medan Selera Kheng Heong. This place is an unassuming small “coffeeshop-like” place which serves chinese food. I’m here to share mouth-watering pictures of our dinner! 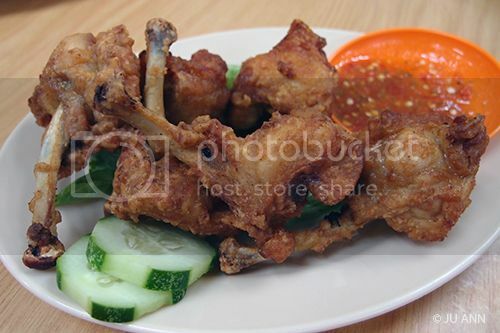 Chi Kong (Boxing Chicken) – looks hard & dry but it’s really juicy and tender. I saw other diners ordering this and wasn’t interested much but my mom said it’s a must-try and how my brother finished the whole plate by himself. This is really a must-try! I took a bite into it and the lovely juices of chicken exploded in my mouth! I am trying to take less fried food and this just made me cheat on my diet! 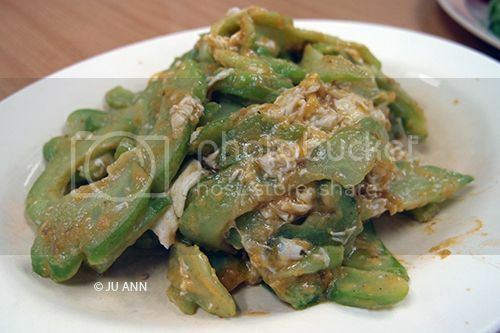 Salted Egg Bittergourd. This was okay. The bittergourd was harder than I expected it to be but the salted egg sauce was good. The bitterness of the gourd with the salted egg taste was a great combination. The way this Spicy Braised Grouper was presented to us diners leaves much to be desired but boy it was good (albeit unhealthy cos it’s soooo saucy!!). The fish was very fresh. Totally should try this! 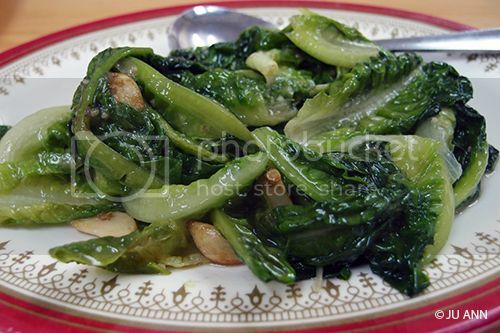 Normal dish to order, Fried Yau Mak. Nothing to shout about. Could be less oily. 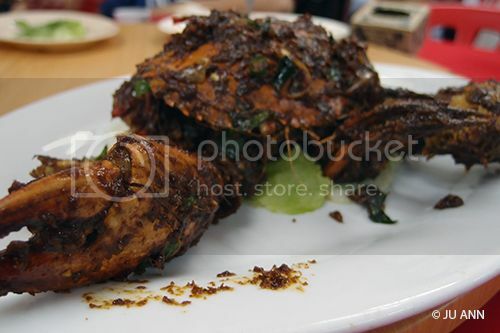 Kam Heong Crab (RM70/kg) is a must-try. The crab was big and very meaty. 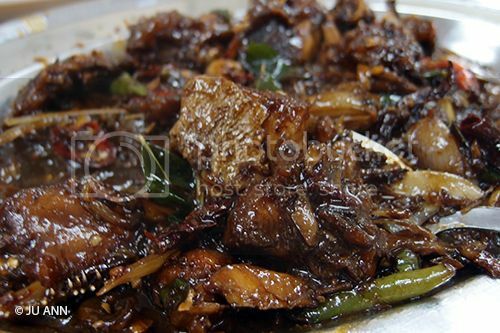 The Kam Heong sauce was very nice and the taste of curry leaves, curry powder, dried shrimps, shallots, garlic, and chilies came together perfectly. Previous Post BFF Challenge: Are you eating well, Ju Ann?